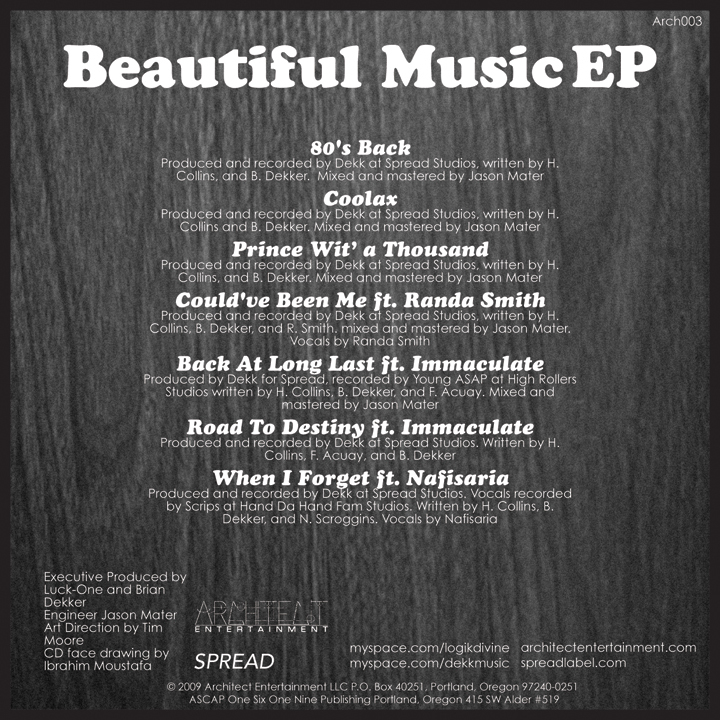 Luck-One & Dekk – Beautiful Music, period. 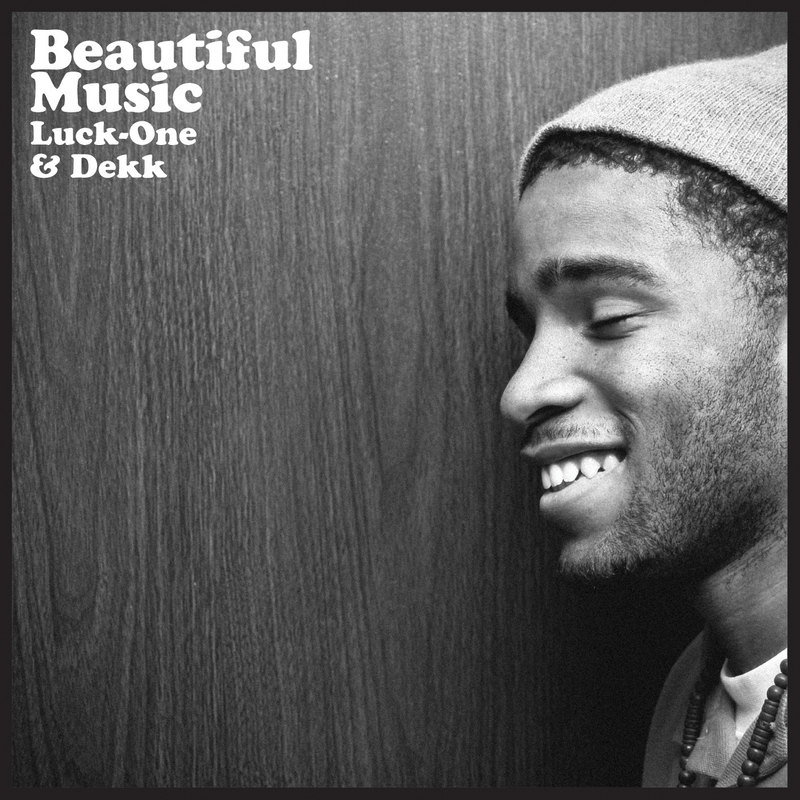 The latest release from Portland emcee Luck-One [of 7th Science] and producer Dekk is entitled “Beautiful Music”. A rather bold statement indeed. An adjective and a noun. So broad yet so definitive. Now before you go jumping to conclusions, we invite you to take a listen to the 7 track EP, you will be pleasantly surprised. So what does Beautiful Music sound like? Dekk opts for a soulful electric sound which contrasts nicely with Luck-One’s honest, personal lyrics. 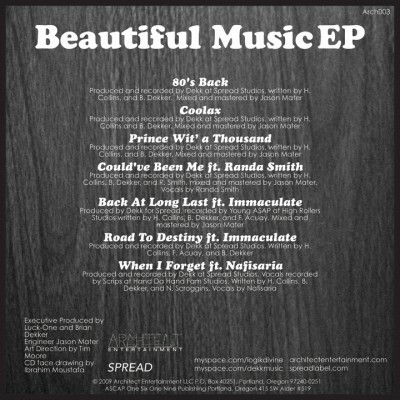 Keeping up with that Northwest sound, Beautiful Music manages to traverse an amalgamation of funk [Could of Been Me] mixed with electronic [Back At Long Last, When I Forget], boom bap [80’s Back], topped off with soul [Coolax] all in 7 tracks! Surprisingly enough, Beautiful Music is a smooth listen that feels far from rushed. It’s very important not to box Luck-One in. Just when you’ve got his angle figured out–he turns around and flips it on you. The EP starts out with the happy club track, “80’s Back” where Luck laments on the 80’s and just when you are expecting to hear an ode to sunglasses and Gumby hair cuts, he manages to slip in some knowledge on the low in the third verse, Luck spits something like: “Jail cells we sit inside, where souls stress in masses-passions and spirits die, this is civilization offered by the uncivilized”. On “Coolax”, he slightly switches up the flow and manages to calmly beast on the mellow track–yes it’s possible cause he did it. On “Coulda Been Me”, he flips the flow again showcases his impeccable ability to story tell. When you thought you heard everything this dude has– he flips it again on “Back at Long Last” and “Road to Destiny”, where he proves to be right at home on gritty bangers, with the help of 7th Science member, Immaculate. There are very few emcees that have the knowledge and versatility such as Luck-One. Ironically enough, the ones that DO have it, are extremely successful. If that’s any benchmark for where Luck-One falls on the spectrum of rappers–I’d say it’s pretty damn good. We will most definitely keep you posted on his upcoming summer projects as well as Dekk’s projects as well. Until then, this EP will be on heavy rotation. im downloading it now and it better be good!